The Cascades Raptor Center in Eugene is home to one of the largest collections of native raptor species and birds of prey in the Pacific Northwest region. Established in 1950 with the aim of fostering a connection between people and birds of prey, as well as encouraging and preserving an understanding of wildlife conservation, the Cascades Raptor Center is a non-profit nature center and wildlife hospital unrivaled for experiencing birds of prey in their natural habitat. Specializing in rescuing, rehabilitating, and releasing sick, injured and orphaned birds back to the wild when possible, the Cascades Raptor Center has nearly 50 birds of prey housed in impressive outdoor aviaries with vegetation akin to that of their natural habitat in the wild. The Center also provides a long-term habitat for those that cannot be released into the wild because of their injuries or due to imprinting on humans. Birds species include hawks, kites, vultures, owls, falcons, osprey and eagles, many of which have names and have been ‘adopted’ by members of the public who donate funds for their upkeep. The Cascades Raptor Center's Wildlife Hospital is a haven for sick, injured and orphaned birds. The hospital provides outstanding medical treatment and high-quality rehabilitation to over 250 injured, orphaned and sick birds each year, which are brought in by members of the public, local and state police, and local veterinarians, as well as other wildlife rehabilitators. 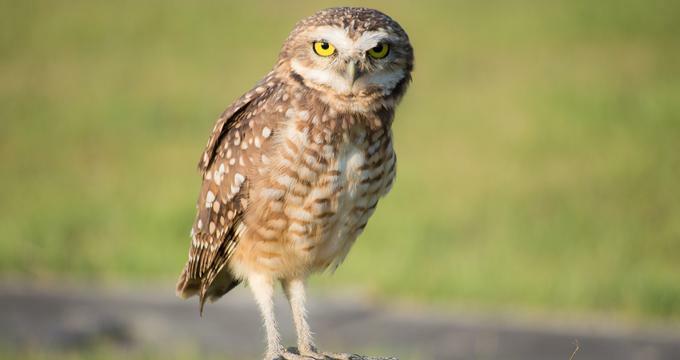 The Cascades Raptor Center offers a variety of educational programs and workshops for children, scholars, and students across a range of fields from birds of prey and biology to environmental care, wildlife rehabilitation, and conservation. Guided educational programs cater for small and large groups and include ‘Take a Walk on the Wild Side,' ‘Reading with Raptors,’ staff guided private tours and self-guided tours. Classroom presentations also include ‘Bring the Wild to Life’ and ‘Reading with Raptors’ and all guided programs can be tailored to the requirements of the group. ‘Take A Walk on the Wild Side’ is an age-appropriate woodland adventure that visits the 50 birds in the Center and explores their life cycles, form and function, their prey, and an introduction to raptor rehabilitation. The program includes interactive experiences with birds brought out on the glove by staff, looking at eggs, nests and feathers in the display cases, and a presentation of all the birds on-site. ‘Reading with Raptors’ caters for younger Raptor fans and involves a story that is read out aloud to the children while the ‘star’ of the story – one of the raptors – sits nearby. A Personal Raptor Experience is a once-in-a-lifetime experience that includes a guided two-hour private tour with a professional guide, an in-depth look at the day-to-day operation of the Raptor Center and a chance to watch some training. The Cascades Raptor Center is located at 32275 Fox Hollow Road in Eugene and is open Tuesday through Sunday from 10:00 am to 4:00 pm. Visitors can explore the Center via winding hillside trails and see the birds on exhibit in spacious outdoor aviaries. No dogs are allowed on site, including in parked vehicles.